With a stay at Hilton Garden Inn Austin North in Austin, you'll be close to St. David's North Austin Medical Center and The Domain. 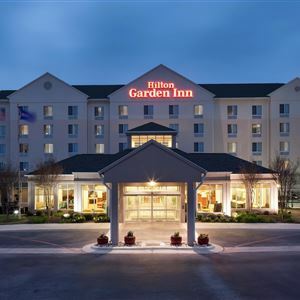 This hotel is within the vicinity of North Cross Mall and Norris Conference Centers. Featured amenities include a 24-hour business center, express check-in, and express check-out. Planning an event in Austin? This hotel has 2614 square feet (243 square meters) of space consisting of conference space and meeting rooms. Free self parking is available onsite.